This popped up on eBay last week and I had to get it. I am a sucker for original costume concept art, and when I saw this, I realized I had found the perfect piece for my collection. Robert Fletcher is the well known costume designer of Star Trek I - IV, and created the iconic maroon uniforms we all so covet. 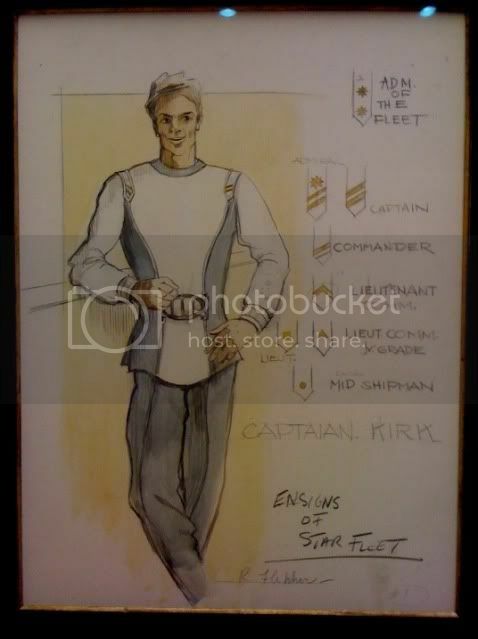 This peice is titled "Captain Kirk" but has no date. 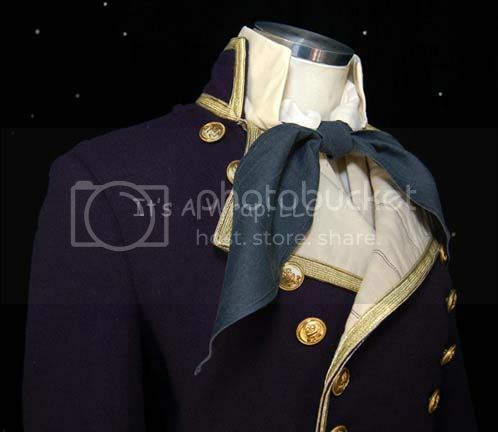 It appears to be a ST: TMP uniform, though the other three pieces the seller had for sale (Sulu, Chekov and the bar alien) are all from Star Trek III. While my bid was higher than the $ 1,136 I paid, I am surprised it went this low. But of course we each have different perceptions of what items are worth based on our own emotional attachment to an item. This item actually came in a nice frame that doesn't need changing. I met the seller, who lives in Palm Springs, and picked the item up. I was totally fired up when I saw it and bigger than I thought. I will have high res shots soon. Well, It's a Wrap has listed some more background set piece items from the Star Trek movie. Once again, mostly unspectacular pieces, but one item stands out, the Shuttlecraft Nacelle. The only problem is it is 31' long! This falls under "The Law of Big props" as I call it. Basiclaly, the bigger the prop, the less people interested, because 1) less people can afford it and 2) few people can store it! So I am not sure who is going to buy this, but I doubt it gets big bucks. It is the best item we have seen so far, and the only item I have seen in the IAW inventory, that is somewhat interesting. When the last one of these costumes came up on the IAW auctions about two years ago, I backed off for my good friend Jim Williams. We didn't know it would be the last one they had, and of course, they may have had more and dumped it all to Martin from Germany in that grand "Let's get out of Star Trek" fiasco that prematurely ended the auctions. Now, I am easy when it comes to backing off for a friend. The tight-knit community of the Star Trek Prop, Costume & Auction Forum has a group of collectors who always try and help each other out and not bid each other up. I have benefited from that courtesy many times, and always try and do the same. I mean, you don't need EVERYTHING! And Karma plays large in prop & costume collecting. For a while I really hated not having one of these, as Jim's looked so good on display! But then, the last Romulan costume IAW auctioned came up, and I needed one badly for my DS9 collection, and so Jim backed off for me, so things worked out great. Well, when my good buddy Giles Aston (you know him as the Picard look-alike) was selling a few items, and sold me his stunt Crusher Naval costume about a month ago. I was thrilled. 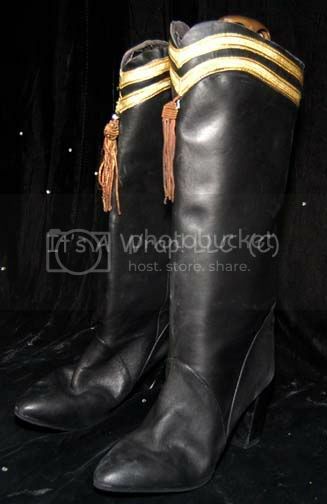 And it had everything from boots to hat! 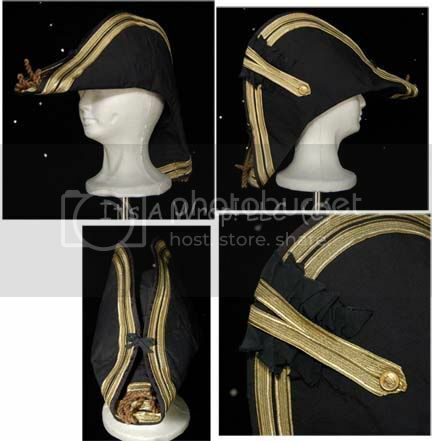 Of course none of these costumes came with epaulets, which was probably because they were removed when the costumes were dry cleaned and then misplaced. Of course, the story doesn't end there! Not two weeks later I get a call from Donna Sakaida, one of my favorite people in this hobby. She had just been in our offices comparing her rubber stunt Star Trek VI Assassin's rifle to my Hero (more on that next time) and seen my Naval costume. Well Donna tells me the HERO Crusher and Troi are on eBay and so she and I use BIN and get both of them. I mean, you wait two years for one, and then you get the stunt AND the hero in under two weeks. How is that for patience paying off. Well, needless to say, I am selling the stunt. Who needs two of these anyway?